Discover delicious Terra Etica products from SCOP (Cooperative and Participative Business) Café Michel. A 100% French product. 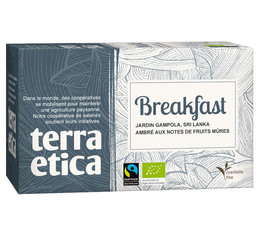 Products that will delight foodies as Terra Etica offers a range of gourmet products such as chocolate, tea and sugar. Terra Etica ensures that its products are organic and fairtrade. Don't hesitate any longer, taste them now!